First, Let's have Wine & Cheese! You must be a member of the Grenoble Professional Networking Group to attend this activity. Would you like to join this group? Welcome to Protected content ! This is our very first event as your Consul and in the new year! It's such an honour. 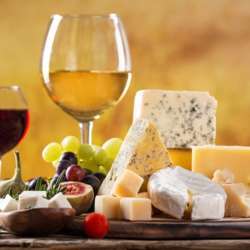 I am inviting you to a wine and cheese (including snacks) outing where we can get acquainted, share and network. More importantly, it would be great for me to hear from you the type of events you would love me to curate for you this year. I am really looking forward to meeting you. Do not hesitate to come with a friend, colleague or partner. The more the merrier. Even business cards are welcome if you want. Kindly indicate your attendance to help me make reservation at the restaurant.